Once, the horse racing hotspots were filled with African American jockeys. In fact, African American individuals won fifteen of the first 28 Kentucky Derby runnings. Big names like Isaac Burns Murphy were on everyone’s lips as he won an incredible three times. Jump forward to the modern age, and things couldn’t be more different. In fact, diversity in horse racing has gotten so bad that an African American hasn’t won the Derby since 1902. Worse, only two black jockeys have ridden the race since 1922. So, what happened? Something must’ve occurred to turn horse racing from a sport led by black individuals to the white fairground it’s become. And, with a little research, it becomes clear that’s the case. In history, horse racing wasn’t the upper brow affair it is today. The sport was dominated by black jockeys because they knew the horses best. The higher echelons of society didn’t get involved at the stables. That work was left to poor black workers, who hence became the best riders of the age. Yet, the big names in horse riding were soon making big bucks. Isaac Burns Murphy, mentioned above, was earning around $15,000 and $20,000 a year at his prime. And, as races got shorter, more people started betting on the outcome of horse racing. With more money involved, it didn’t take white individuals long to see this was a career worth paying attention to. What followed was the toppling of leading black jockeys. Murphy, though a huge household name, was banned for being drunk in 1890. Later tests confirmed that he was, in fact, drugged. And, this wasn’t the only incidence of this kind. Within no time at all, the black names had been replaced with white ones. Worse, those fantastic sports figures have been all but wiped out of the history books. Horse racing just doesn’t want to remember its origins. Nor does it seem to want to return to them. And, it’s not only in America that there’s a distinct lack of black faces on the race track. In the UK, too, black jockeys are still few and far between. In 2016, Sean Levey became the first black man to compete in the Epsom Derby. While this may seem like progress, it leaves many of us wondering why it’s taken so long to get to this point. Ricky Alleyne is also a black name to watch out for. 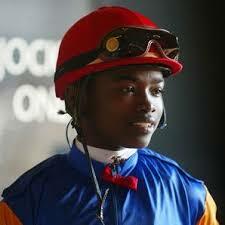 But, two black jockeys is far from the progress we would expect to see in the field. Worse, it’s not only racial discrimination that’s rife in the sport. A recent survey by the British Horseracing Authority (BHA) revealed significant gender gaps. 80% of women questioned reported ‘career stagnation’ as they attempted to progress. Yet, greater diversity in racing isn’t a topic we hear enough about. It’s clear that changes need to take place, but the horse racing community as a whole seem happy to turn their backs. How long can this discrimination continue until something has to be done?